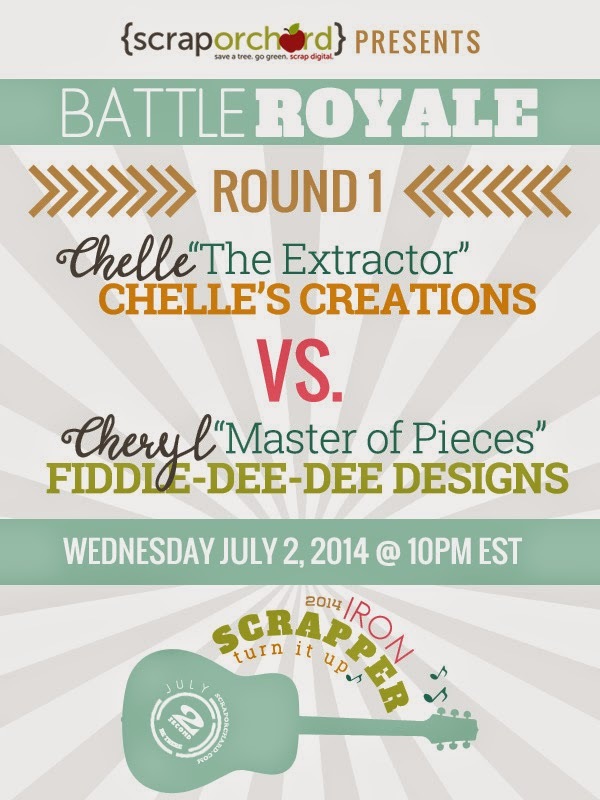 Please join me Wednesday night, July 2, 2014 at 10 pm EST/9 pm CST for Iron Scrapper Battle: Round One. It will be Chelle "The Extractor" of Chelle's Creations against me, Cheryl, "Master of Pieces" of Fiddle-Dee-Dee Designs. You'll not only earn an Iron Scrapper point for attending, but you'll be able to watch both of us scrap, hear us chat, and laugh more than a lot! Looking forward to seeing y'all there! For full details, check out the post in the forum by clicking on the image below. 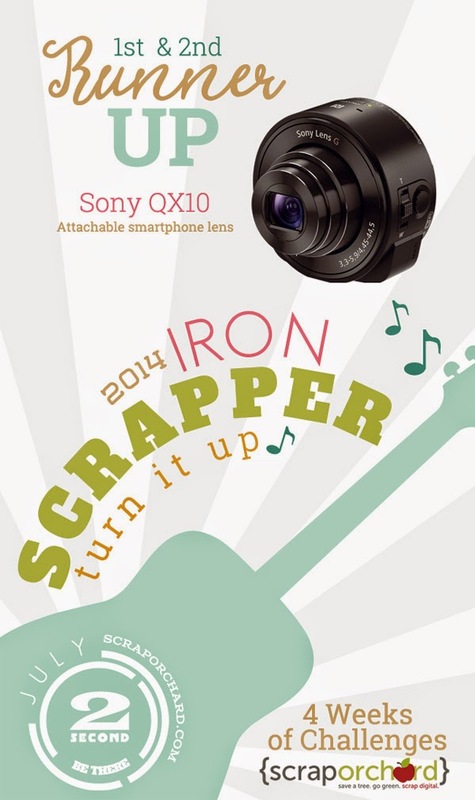 Also, if you haven't seen the prizes for this year's Iron Scrapper, take a look! 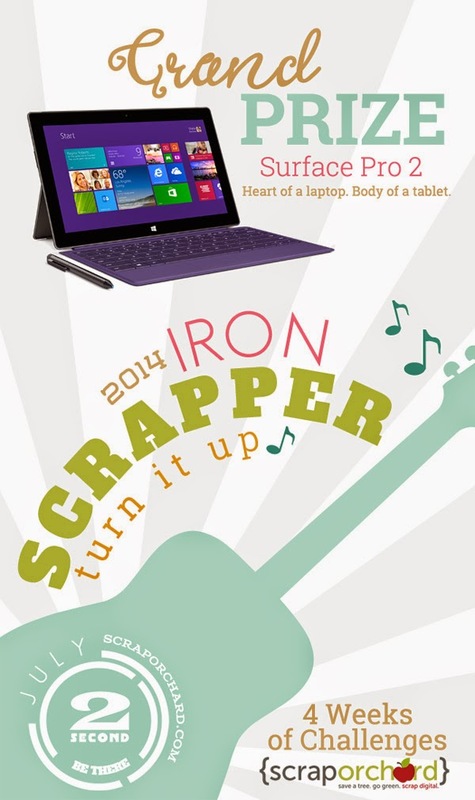 I am so excited and totally hoping one of my customers is going to be one of the winners of these awesome prizes! See you at the Battle so you can grab a point and have some fun!